An accountable care organization (ACO) like Seton Health Alliance looks at healthcare differently. Our goal is to improve patient care first and foremost. This means helping you take charge of your health, which includes wellness and prevention as well as seeing you if something seems wrong. 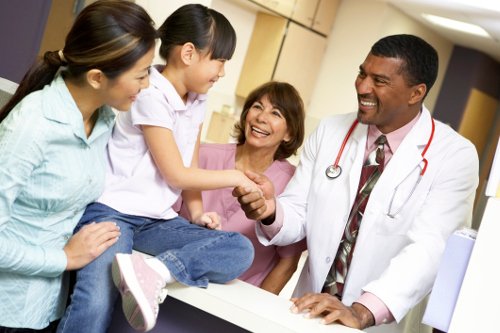 Each patient has a primary care physician (PCP) who can help coordinate care among different specialists and even pediatricians. You’re never limited on which doctors or specialists you can see. Because communication and care coordination are both improved among your healthcare providers, your care goes more smoothly. Better communication also means problems like duplicate or unnecessary testing and procedures are eliminated. This helps lower your healthcare costs. Physicians can share your healthcare records with each other, saving time when you come in for an appointment. Additionally, you’ll also learn more about your own health and wellness so you can stay healthy for longer. This means fewer trips to the doctor overall. In today’s healthcare system, it often feels like even these basics are hard to come by. We share those same goals: lower healthcare costs, better communication and a way to help patients navigate the healthcare system. And our providers share those goals too, so you can be sure you’re getting the highest possible quality of care while still saving time and money. We understand that you probably have a lot of questions about seeing a healthcare provider who is part of an accountable care organization, or ACO. Below are frequently asked questions that are often brought up by our patients. How will my healthcare be different with Seton Health Alliance? When you continue visiting healthcare providers within an ACO like Seton Health Alliance, you’ll feel more engaged and positive about the entire healthcare experience. You’ll notice over time that your care becomes better, and your healthcare providers coordinate better with each other. You may find that you have less paperwork to fill out at each visit. And, as your doctors learn more about your health background, and they may not keep asking the same questions over and over. In short, a lot of the things you might feel frustrated about right now when it comes to healthcare should be greatly improved. Yes. We are not like an HMO that tells you which doctor you can visit. However, we encourage you to choose a primary care physician, or PCP. For some, this may be a family practice doctor who treats your whole family. Pediatric doctors can also be a PCP. Many women choose their OB/GYN as their PCP. It’s important to work with a primary care doctor with whom you feel comfortable talking. Why are wellness visits important? When you visit your PCP regularly, he or she gets a better idea of your overall health. This means that PCPs can more easily notice if something seems off, and, when necessary, small problems can often be treated before they become big problems. Over time, regular wellness visits can mean fewer trips to the doctor, especially for urgent care or emergency room visits. How will SHA save on my healthcare costs? We are designed to deliver healthcare more efficiently, which saves money. For example, in the traditional healthcare system, patients may visit a specialist without telling their PCP. This can mean that a specialist runs tests that a PCP already ran, which means an added and unnecessary cost for the patient. With Seton Health Alliance, doctors share information about their patients, preventing this kind of problem. Plus, working with a PCP to keep a better eye on your health can lead to spending less time at the doctor’s office in the long run. You can still see a specialist. Again, an ACO is not an insurance company, and can’t tell you which doctor you can use. However, if you use a specialist who is part of our provider network, you may find that your healthcare feels more organized and any separate doctors you have coordinate better, because they’re working more closely together. Where should I go if I need healthcare assistance after hours? While you should ALWAYS go to the emergency room or call 911 if your life or health is in immediate danger, if you have a health concern that comes up after your doctor’s office closes, you can visit an urgent care center. Not only is urgent care faster than the ER, but it costs less, too. When your care is coordinated through a PCP, he or she can help point you toward the option that will gives you the best health outcome.